Here is a list of commonly asked questions. We have included general questions about the resort, travelling to Bali and our diving courses and programs. How many rooms does The Menjangan offer? The Menjangan offers 7 beach villas, 2 suites rooms, 10 deluxe rooms and one residence that has 3 bedrooms and a private swimming pool. To learn more about the rooms, visit our accommodation page. Does The Menjangan have a swimming pool? The Residence offers a private swimming pool with view of Bajul Bay and Monsoon Lodge offers a communal swimming pool with Jacuzzi. The guests staying at The Beach Villa’s are more than welcome to visit the pool at The Monsoon Lodge. In addition to the two pools, we also have our private jetty providing access to Bajul Bay. Yes, the resort is equipped with Wi-Fi in all guest areas. What kind of restaurants are at The Menjangan? The resort offers 2 restaurants, one located on the beach and one at Bali Tower. We offer International food and gourmet local food. For any special requirements, just let the staff know at your check in, the Resort staff will be happy to help you. A number of other restaurants are also available in the nearby villages, which are about 25km away. Is the resort appropriate for families with kids, single travellers or couples? The Menjangan offers multiple activities, which can suit families with young and older kids, as well as couples and single travellers. 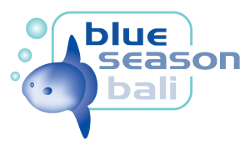 Visit the Activities page to learn more about the ones offered by Blue Season Bali @ The Menjangan and the Resort. Your passport will need to be valid for at least 6 months after your entry into Indonesia and must have one empty page to receive the visa. Most countries are entitled to a 30 day visa upon arrival for USD $35. There are now (at February 2016) 90 countries who are visa free and can remain in Indonesia for 30 days without paying for a visa on arrival. Please note that this visa is not extendable. You can view the list here. Can you personalise dive/accommodation packages? Our packages are made to please most of our divers and guests. Although, if you have different preferences into other activities or want to stay for a different length than our packages offered, please send us an e-mail with your details and it will be our pleasure to get back to you shortly with a custom package. Simply by sending us an e-mail with the following information. Notice of cancellation must be received and acknowledged not later than Fourteen (14) days prior to stated time of commencement of services. Cancellation conditions are listed below: Half charge will be applied for cancellation made within fourteen (14) days prior to the start date. Full charge will be applied for cancellations on the day, or for no shows. Blue Season Bali does not take responsibility for the following: Delays in flights that result in a change of the scheduled program. If accommodation or diving services are not utilised due to delays, no refunds will be given. Any extra costs associated with the delay will be the responsibility of the group. Guests missing the departure time of vessels due to late arrival at the pickup point. Cancelled diving services due to bad weather or unsafe conditions. We withhold the right to refuse diving services if the conditions are not safe for diving. Cancelled diving due to ill health or tiredness. We will not refund guests who do not wish to complete their total allocated number of dives for whatever reason. What is the best time of the year to visit Menjangan? The underwater world of Menjangan Island and Bajul Bay has the same good conditions all year round. For the outside activities, take note that the rainy season of Bali Barat National Park goes on between December to February of each year. Divers are always wet while practicing their passion, rain or no rain we have a blast at Blue Season Bali @ the Menjangan. What is included in the price of the diving? Do you provide diver insurance? Yes, all of our divers are covered by Insurance. What language does Blue Season Bali @ The Menjangan speak? Our team at The Menjangan speak fluent English and Indonesian and have a lot of experience with international guests. If perhaps, you require a private guide who speaks another language, please contact us and let us know your preference as we can easily receive support from our main office from the South, where we have Dive Instructors who can speak: German, Japanese, Chinese, Spanish, French and of course Indonesian. Which kind of tank valves does Blue Season Bali @ The Menjangan use? All our tanks are Yoke valves or convertible valves (both Yoke and DIN). Can we store our scuba diving equipment at Blue Season Bali @ The Menjangan? If you do multiple days of diving with us, it would be a pleasure for us to take care of your equipment after diving. We will wash it in fresh water and hang all of your equipment up to be dry for the following dives. Even though we give great care to your equipment, we do not accept responsibility for your diving equipment or luggage whilst in our care. Do I need to bring along my dive certification card and logbook? Before diving with Blue Season Bali we need to see proof of certification. The logbook is actually a proof of your experience, so it is always a good thing to have it with you. How many divers do you put together for a diving group? We love our low ratio of dive professionals per divers. When we have certified divers, we have a maximum ratio of 4 divers per Divemaster. For our Discover Scuba Diving program, we always have one Instructor for 2 students. Can my kids dive? Can they go on the boat? From the age of 8 years old, kids can participate in a Bubblemaker experience and from the age of 10 can proceed to the Junior Open Water certification. They are always welcome to join us on the boat during scuba diving or snorkeling. The Menjangan resort offers baby sitting services to all of their guests as well, so we always can bring the baby sitter with us on the boat to watch and play with younger kids. How long does it take to travel from The Menjangan Resort to Menjangan island? We use local traditional boats to travel to Menjangan Island. This trip usually takes between 20 to 40 minutes depending on where on the Island we do our dives. What are the sea conditions like? Usually really calm, the sea can be affected from time to time by the wind coming from the Java sea. The visibility is around 20 to 30 meters year round with a light current, depending on the tides. Year round the water temperature of Menjangan Island and Bajul Bay varies between 28 degrees and 30 degrees Celsius. Do I need a medical certificate to dive in Bali? It is always good to have a medical certificate that testifies you are healthy to dive. We use the general Medical statement from PADI to assess readiness to dive. If you would answer "yes" to any of the questions on the form we will require clearance from a Dr before we could take you diving. You can have a look at the form here. Can I start my course before arriving at The Menjangan? We have different options for you, which include completing your knowledge assessment online (E-Learning) or to participate in a referral with a PADI affiliated Dive Center. Contact us for more details. WHAT IS INCLUDED IN THE PADI COURSES? How are Diving Courses structured? All courses are structured according to your personal requests and the number of days you have at the resort. For the Open Water Diver course, Our preference is to give you the book and video on your arrival. Ready to go scuba diving in North Bali / Menjangan?